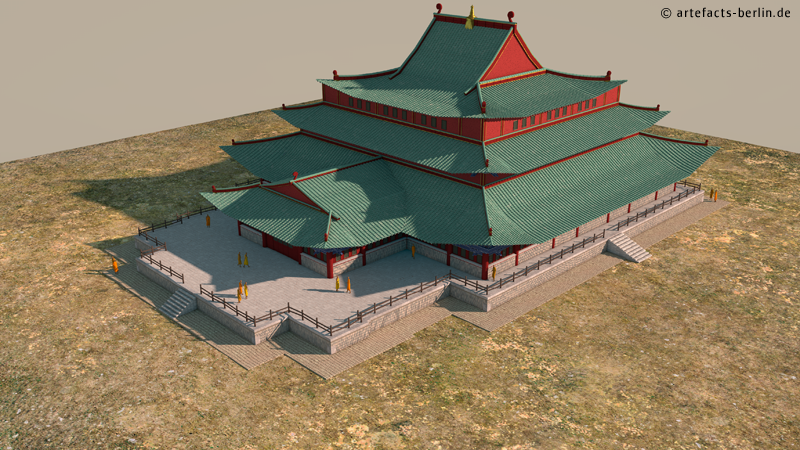 Within the next years three medieval palaces in the former kingdom of Mustang in Nepal will be documented and restored. The World Heritage site was partly destroyed by earthquakes in 2015. 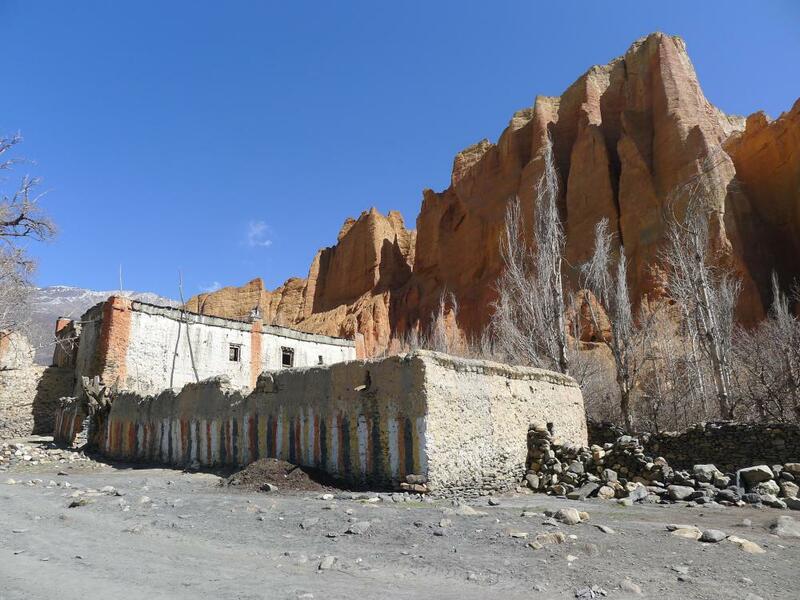 Lo Manthang, the capital of the former kingdom of Mustang in present-day Nepal, has been on the tentative UNESCO World Heritage List since 2008. Mustang was an independent kingdom until 1950. It was founded in 1440 by its first ruler King Amepal (1388-1440). In addition to the temples and monasteries, the royal palaces (Darbar) of Mustang are an important part of the regional architecture. Like the monasteries, they reflect the economic and cultural heyday of the region in the 15th and 16th centuries. 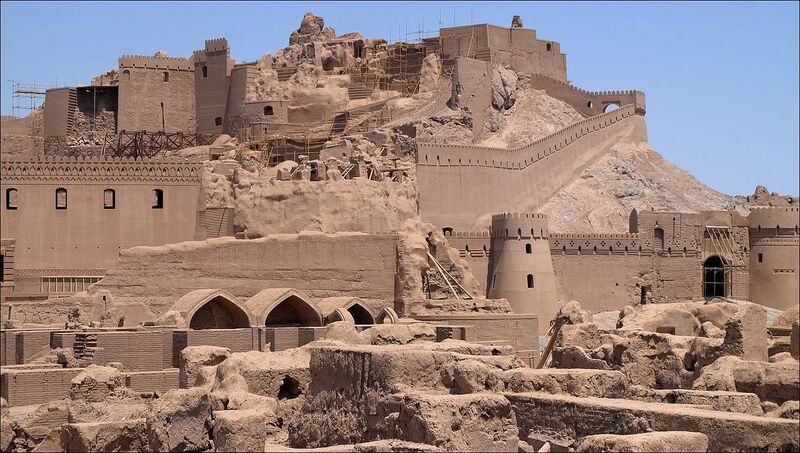 In terms of cultural history, the palaces of the kings of Mustang in the region constitute an important architectural group and are impressive examples of 15th-century architecture. Not least owing to the earthquake in 2015, several of the region’s palace complexes are severely damaged. 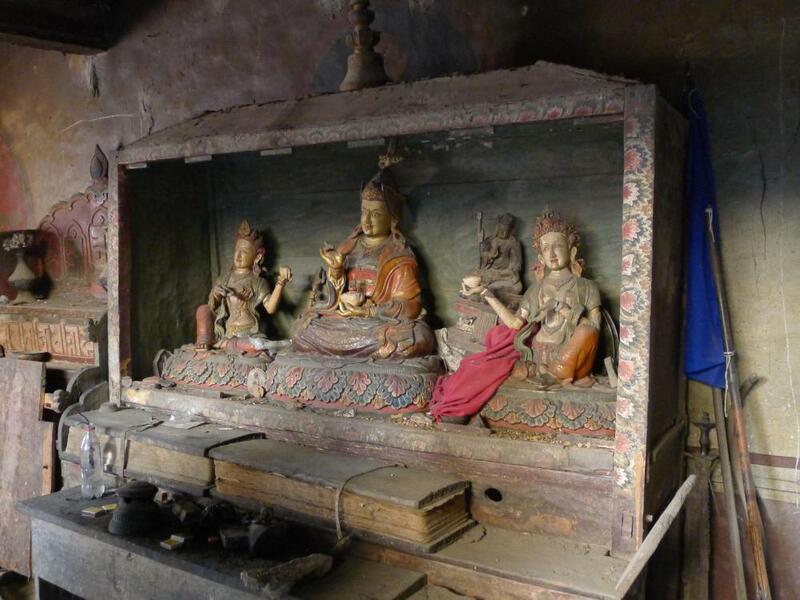 A research project headed by Prof. Ulrike Wulf-Rheidt (German Archaeological Institute Berlin) and Dr. Susanne von der Heide (HimalAsia Foundation Kathmandu, Nepal) aims to document and repair three especially threatened palaces, namely those in Gemi, Dhagmar and Thingkar. Dhagmar, palace complex | © DAI. The Gerda Henkel Foundation is supporting the project in the context of its funding initiative “Patrimonies”, in which it seeks to make a contribution to preserving cultural heritage above all in crisis regions. Following the 2015 earthquake, the Foundation announced a Nepal initiative together with the German Federal Foreign Office. Since then, in addition to humanitarian aid for the population, measures have been implemented to reconstruct significant buildings. 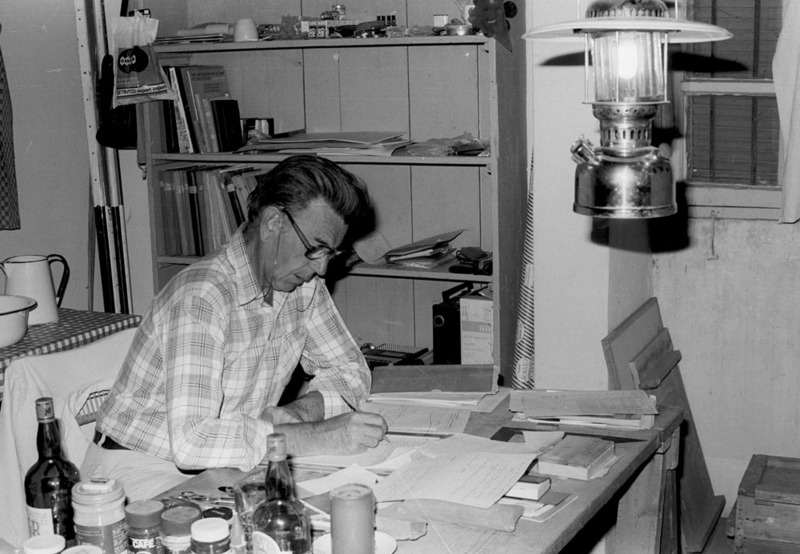 The archive of Friedrich W. Hinkel represents one of the largest collections of research materials concerning the archaeology of the Ancient Sudan. Thousands of photographs, slides, maps and drawings are the invaluable legacy, documenting the cultural heritage of Sudan. It is the result of Dr. Hinkel’s (1925 – 2007) over 40 years of continued research, beginning with his participation in the Humboldt University’s excavation at Musawwarat es Sufra in 1961. From 1962 onwards he was deputized by the Academy of Sciences of GDR to the Sudan’s Archaeological Service, for which he worked as an architect focusing on the excavation, reconstruction and conservation of archaeological monuments. Among his greatest achievements are the dismantling and recovery of the of Semna, Kumma, Buhen and Aksha threatened by the Great Dam, the excavation of temple M 250 at Meroe as well as his conservation efforts regarding the pyramids at Meroe. In the course of his work Friedrich W. Hinkel collected information concerning thousands of archaeological sites in the Sudan, which he planned to publish in geographical order in the form of a publication series called “The Archaeological Map of the Sudan“ (AMS). Due to his work for the Sudan Antiquities Service (now the National Corporation for Antiquities & Museums) he had access to documents and sites previously unknown to other international scholars, making his archive a comprehensive collection of research. Dr. Friedrich Hinkel working in Sudan | © DAI. During his lifetime Dr. Hinkel published three volumes of the AMS (a guide as well as two volumes regarding The South Lybian Desert and The Area of the Red Sea Coast and Northern Ethiopian Frontier) as well as several supplement volumes focusing on single contexts. The lion’s share of his documents, however, remains unpublished. His archive contains over 30.000 photographs, over 10.000 slides, about 540 topographical maps, over 4.000 drawings, over 20.000 index cards as well as several hundred folders containing geographically structured information on archaeological sites. Owing to the generous support of the Qatar Sudan Archaeological Project (09/2014 until 03/2016) and the German Foreign Ministry (beginning in 04/2016) it was possible to digitize large part of Friedrich W. Hinkel’s research Archive and make it accessible via the iDAI.world in cooperation with the CoDArchLab and the National Corporation for Antiquities & Museums in Khartoum. 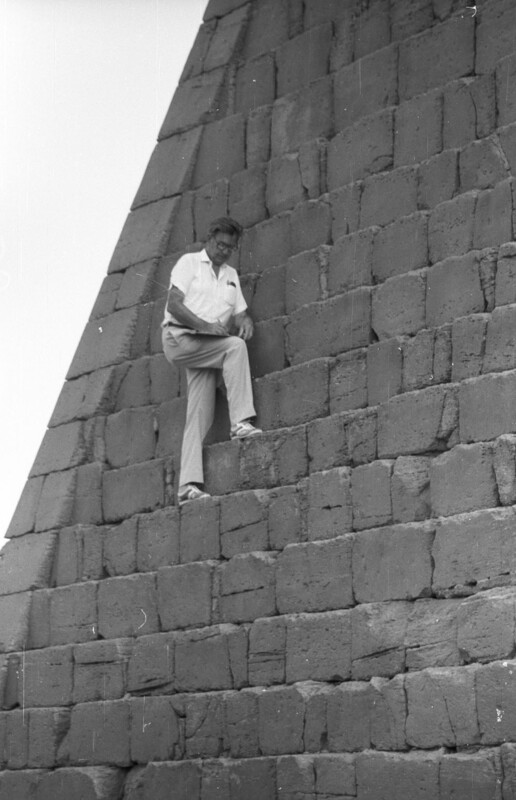 Dr. Hinkel documenting the pyramids of Meroe | © DAI. 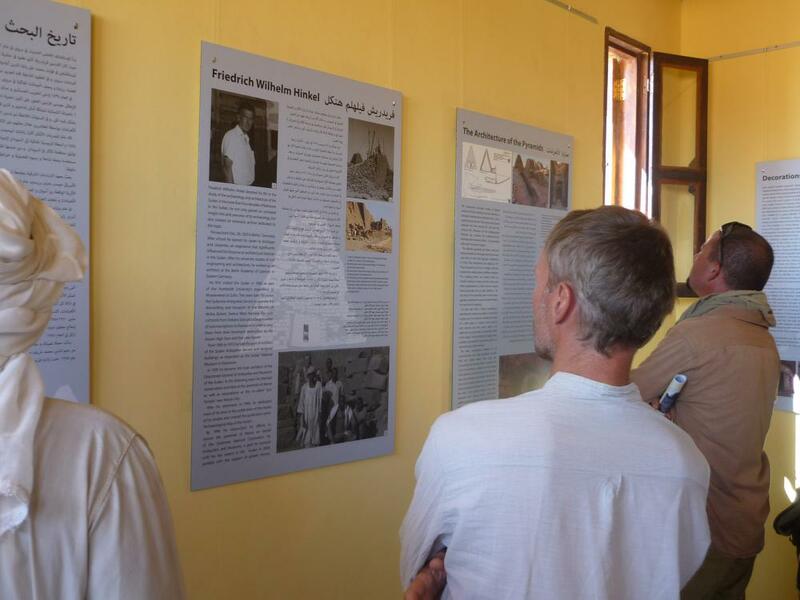 Inauguration of the renewed entrance to the royal cemetery in Sudan with a the new exhibition “Pyramids of Meroe”. 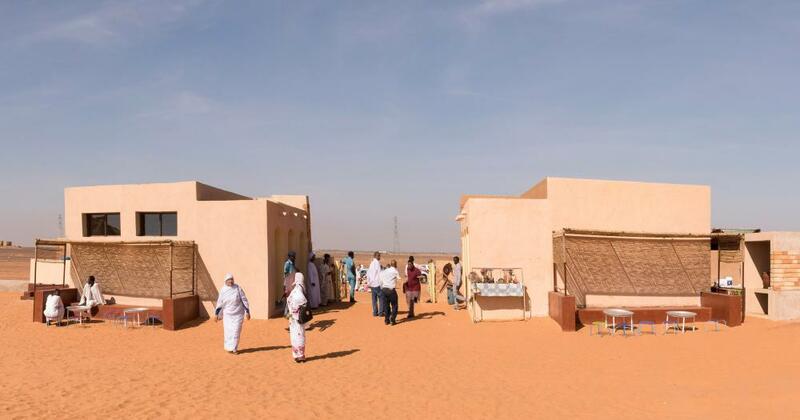 26th January the renewed and enlarged entrance to the royal cemeteries at Meroe/Begrawiya was inaugurated with the exhibition “The Pyramids of Meroe”. A new showroom with interpretive panels was opened to the public and is now welcoming tourists informing them about the ancient necropolis and its famous pyramids. The enhancement of the visitor entrance is an important achievement for this famous site and part of a large scale development project of the Qatari Mission for the Pyramids of Sudan (QMPS). The QMPS intends to holistically approach the installation of sustainable tourism and site management at the royal pyramids of Meroe together with all stakeholders including local communities not only to develop the site but also to learn more about the Sudanese ancient monuments and to conserve it for future generations. The World Heritage Site of Meroe is one of the most important archaeological sites in the Sudan. 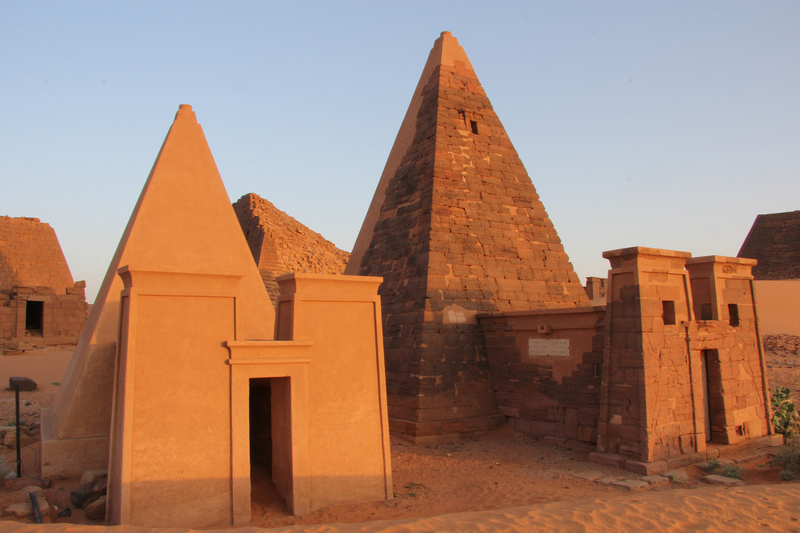 Its remarkable cemeteries with more than 100 pyramids attract thousands of Sudanese and international tourists each year. Since the 1960ies, the ancient site is adversely affected by environmental conditions and increasing tourism. In particular, sand erosion caused by accumulated dunes threatens the monuments. 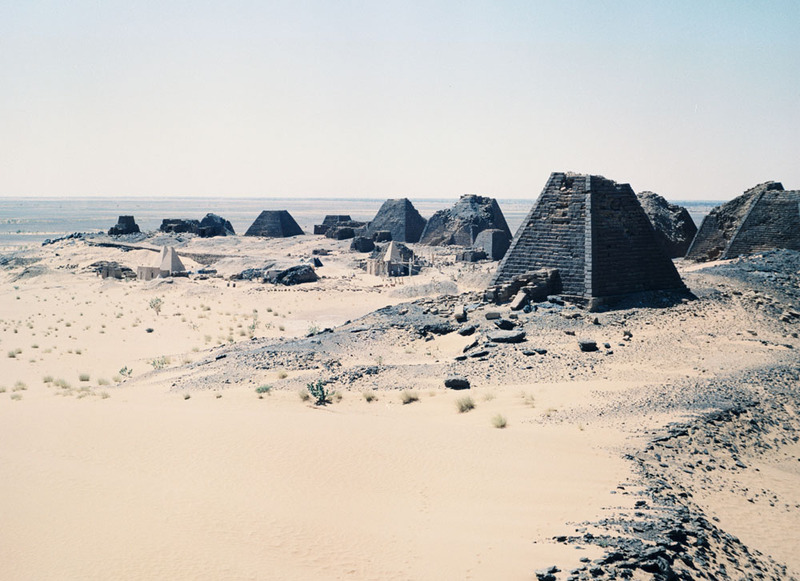 In 2014, Qatar Museums launched the Qatari Mission for the Pyramids of Sudan to investigate and to preserve the pyramid cemeteries of Meroe and to develop the site. 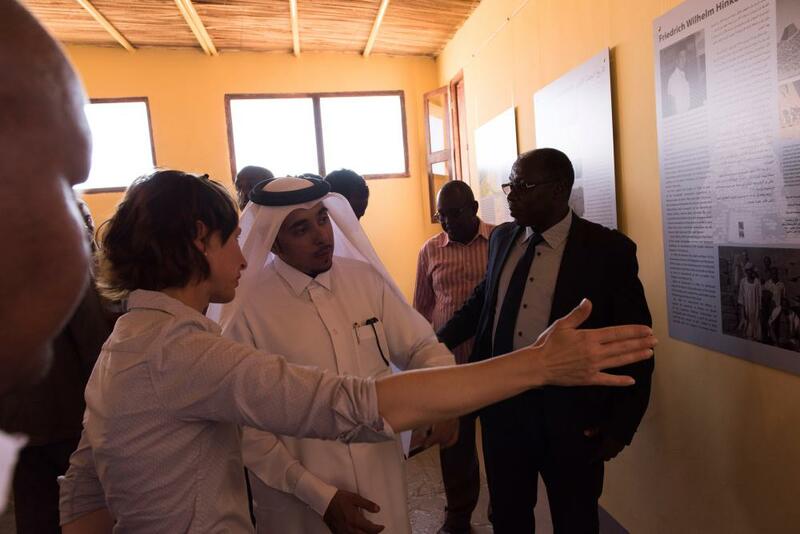 The project is embedded in the Qatar-Sudan Archaeological Project and closely cooperates with the Sudanese National Corporation for Antiquities and Museums and the German Archaeological Institute. 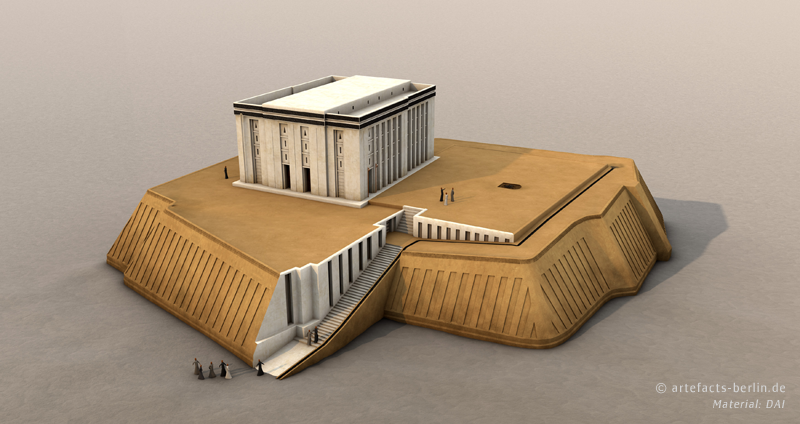 The latter institute houses the Friedrich-Hinkel-Archive representing the most comprehensive archive of the archaeology and architecture of the Sudan. Friedrich Hinkel, a German architect, devoted almost 30 years of his life to the study and preservation of the pyramids at Meroe. The digitization and exploration of his archive’s holdings is another focus of the joint pyramid project and certainly an important basis for the Mission to continue his work to preserve the ancient Sudanese heritage at Meroe. Show room of the exhibition | © P. Wolf (CC-BY-NB-NC). Image: Pyramids of Meroe | © flickr (CC-BY-SA-2.0). Following Angkor’s inscription on the UNESCO World Cultural Heritage List, the International Coordinating Committee for the Safeguarding and Development of the Historic Site of Angkor (ICC Angkor) was established in order to coordinate international preservation efforts with UNESCO . 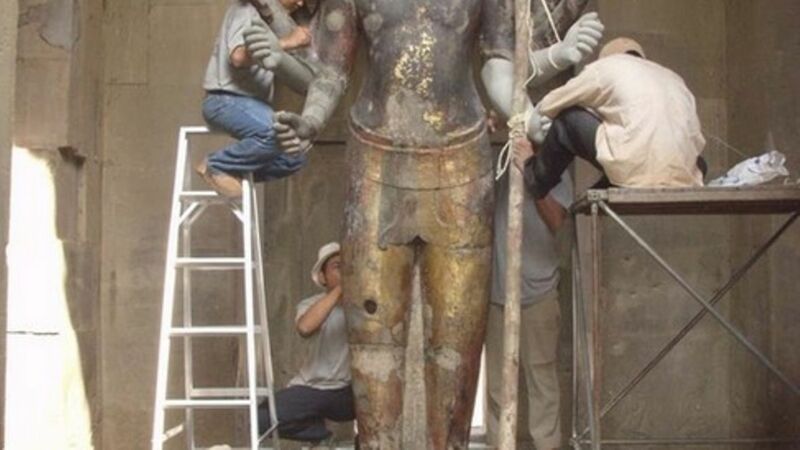 Since 1993, expert teams from 16 countries have been working to preserve and examine the temple complex, which has a magnetic attraction for a steadily increasing number of tourists. 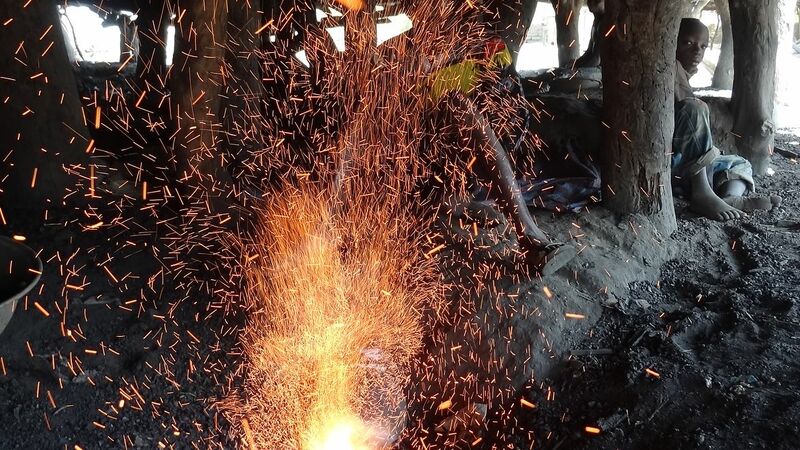 The Federal Foreign Office is supporting the preservation of traditional blacksmithing skills in the villages of Paradé and Ouri in rural Burkina Faso with funding from its Cultural Preservation Programme. 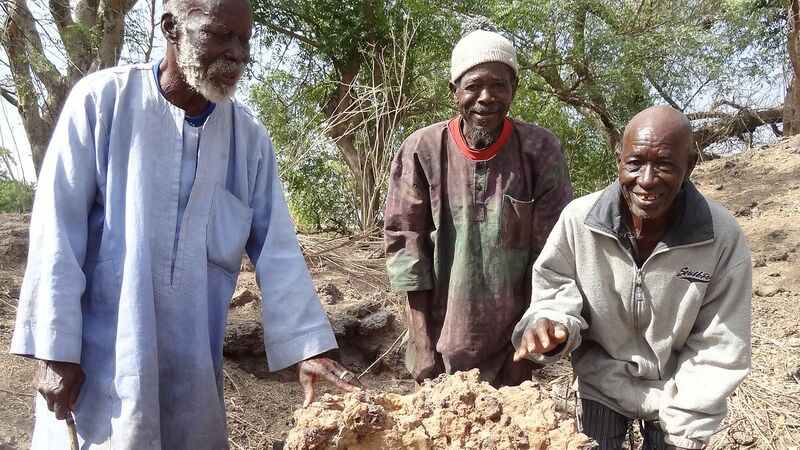 The aim of the Two Headed Hammer project is to preserve iron making and blacksmithing knowledge and skills in Burkina Faso and pass them on to future generations. Only a few elderly men still have these skills, which are at risk of dying out. If their expertise is not recorded soon, it is likely to be lost to future generations. The aim is to preserve this knowledge, which has always been handed down orally, for the future and make it available to coming generations. The project is being run in cooperation with the KulturFeuerStiftung, a German foundation that supports blacksmithing projects for children and young people, and its founder Andreas Rimkus, an artist and machinist. A symposium on blacksmithing and wood craft was held in Paradé and Ouri at the start of the cultural preservation project. During the seminar, the participants learned about technology and skills, as well as living mythologies and legends, as recounted in the songs sung by blacksmiths while they work, and medicinal knowledge about fire and water for extinguishing fire. A small building made of clay is being built over a bloomery and will be used as a museum, office and exhibition space for the villagers and visitors. 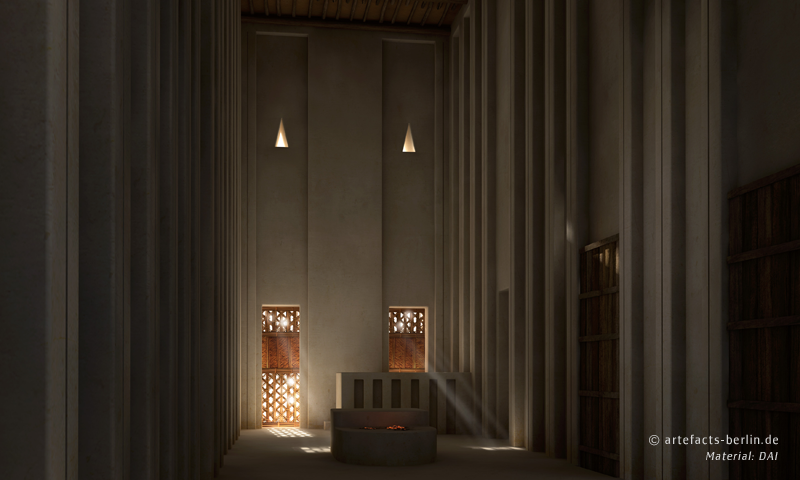 The museum will record blacksmithing knowledge and skills and create an infrastructure to enable the inhabitants of Paradé and Ouri to preserve their cultural heritage on their own. The two villages will thus become a focal point for anyone interested in the origins and traditions of blacksmithing, which date back centuries. Villagers have been given computers, a solar power plant and a photo and video camera, thus enabling them to archive knowledge that has only been preserved orally to date. They can also use the equipment provided by the project to ask blacksmiths in other parts of the country questions, gather further knowledge and publish their own website. Responsibility for the project is shared with tribe members, villagers and local associations. The Konate Family, one of the oldest blacksmithing families in Burkina Faso, is the local project partner. Decisions are made by working closely with the chiefs of the two villages. Further information on the project is available here (in German). The historic dome spanning the charsuq has been restored under the Cultural Preservation Programme of the Federal Foreign Office in a project with RWTH Aachen University, the University of Applied Sciences Potsdam and the Iran Cultural Heritage, Handicrafts and Tourism Organisation. The dome at the bazaar crossroads rises above an octagonal floor plan and was last re plastered in the mid twentieth century. It has a circumference of 12 metres. Four shopping aisles intersect below the dome, with each entrance to an aisle forming a pointed arch. A niche with a shop is located between each of the entry points. The bazaar is one of the largest in the region and supplies Tehran’s huge population with domestic and imported products. Apart from restoring the dome, the aim of the project was to provide training and exchange views and experiences on methodology with the Iranian partners from ICCTHO. 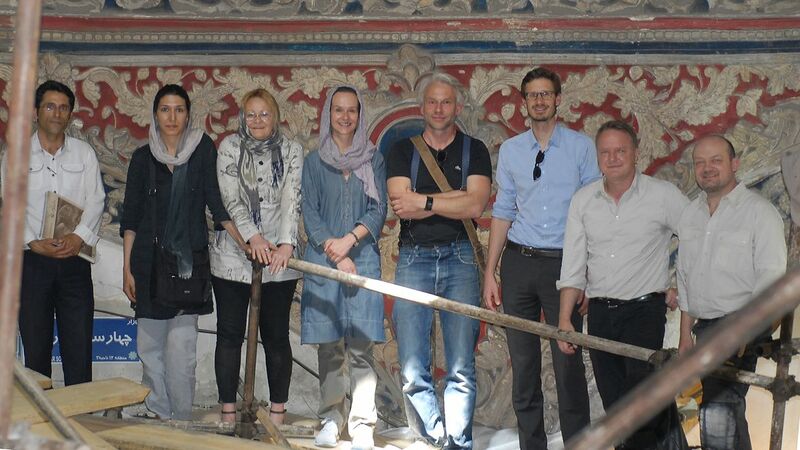 Following a workshop based on the damage documented by the Iranian side, German and Iranian experts joined forces to plan and carry out the analysis, restoration methodology and necessary measures. The restoration of the tambours, stucco and pointed arches of the intersecting bazaar aisles has now been completed. The handover took place in February 2018. With the help of funding from the Cultural Preservation Programme of the Federal Foreign Office, the endangered indigenous cultural heritage of the Aché in Paraguay has been preserved for the future. With the help of funding from the Cultural Preservation Programme of the Federal Foreign Office, the endangered indigenous cultural heritage of the Aché in Paraguay has been preserved for the future. Preserving the Aché culture is important for future generations, as it is part of Paraguay’s culture. The Aché were persecuted and sold as slaves until the 1970. Only a few older members of the Aché have survived and are able to hand on the old traditions orally. Their memories will be documented and preserved in the cultural heritage project. Alongside documentary films, a virtual museum with its own exhibits will be set up, with the aim of preserving the indigenous group’s history, which is handed on orally from generation to generation, and traditions. The persecution of the Aché was revealed in Paraguay in 1972 through a text by German ethnologist Mark Münzel, who drew international attention to the tragedy of the Aché. Around 1880 Aché currently live in seven groups. They are a minority among the country’s indigenous population. Three documentary films of around 45 to 60 minutes record and translate stories by the oldest Aché and document the group’s rituals, handicrafts and music. The virtual museum will also present the history and culture of the Aché. During the project, the Aché made traditional objects for the museum. The virtual museum will be made available to pupils from indigenous groups and the general public. The aim is also to provide online teaching material on the culture of the Aché. The project is being carried out with the NGO Asociación Madre Tierra, which was founded in 1993 and has focused on work with indigenous groups since 2003. It facilitates direct contact with the community’s chief and head teacher, who in turn inform the members of the community about the films and museum. The aim of the project is to preserve a culture that is at risk of dying out by using modern technology to record the group’s oral history and traditions and making them available to the public. 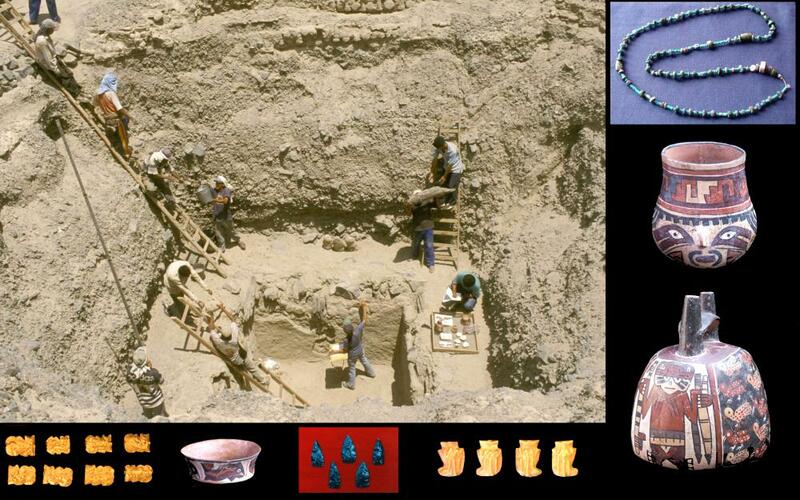 Nasca Elite Burials from La Muña: Restauration and Development for Tourism of an Archaeological Site of the Middle Nasca Culture (AD 200 – 400). La Muña is one of the most impressive archaeological sites of the Middle Nasca Culture in the province of Palpa on the Southern coast of Peru. The site shows a plurality of archaeological features as elite burials, terrace structures, platforms and geoglyphs. In the years 1998 and 2001 several areas of the site were excavated by the DAI but were filled up again for reasons of conservation. 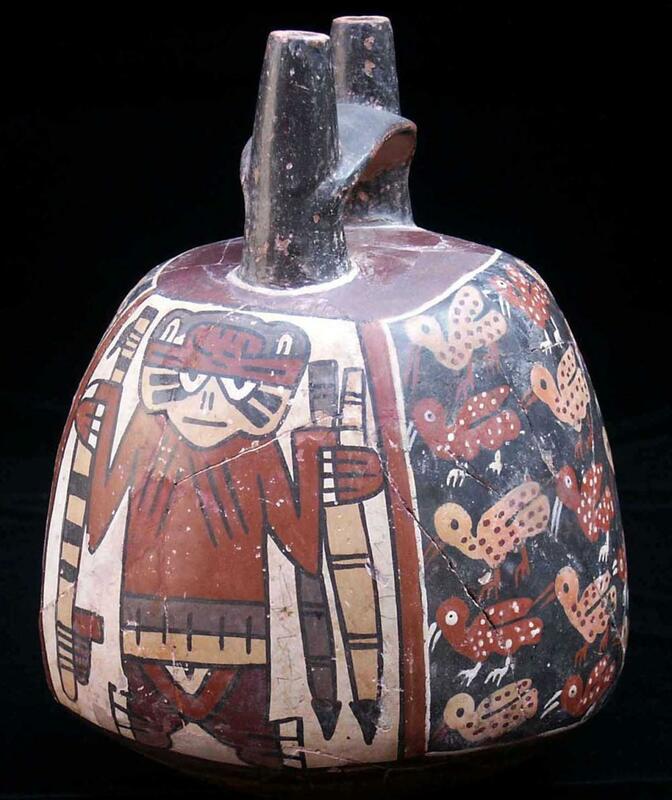 During the years 2012 and 2013 two elite burials were reexcavated, restored and prepared for tourism. An information center was erected to provide information on the archaeological work done and to show its results. The redesigned museum opened its doors to the public in time for Richard Kandt’s 150th birthday on 17 December 2017. Constructed in 1908, it is the last remaining architectural testimony to the German colonial era in Kigali. The building of the redesigned museum was the residence of the “first German inhabitant” and founder of the Rwandan capital, Richard Kandt. The Kandt House Museum in the Rwandan capital Kigali showcases the history of Rwanda under the German colonial administration. With the support of the Cultural Preservation Programme of the Federal Foreign Office, the conceptual conversion of the Kandt House into a museum on the history of Rwanda at the beginning of the 20th century was facilitated by the partnership association Partnerschaftsverein Rheinland-Pfalz/Ruanda e.V. 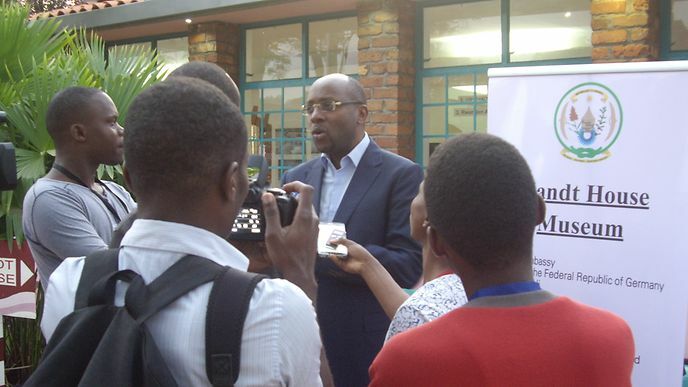 in cooperation with the Institute of National Museums in Rwanda (INMR). After the building had already been spared demolition in 2003 with funds from the Federal Government and Land Rhineland-Palatinate, the cultural preservation funding was used to support a (photo) exhibition consisting of historical (photographic) material, as well as to equip the exhibition space with display cases, audio stations, light installations and information boards. The natural history exhibition previously on display here was relocated to the Museum of Environment in Karongi and the Kandt House and its external facilities were renovated. In addition to the establishment of a library and media room as well as the development and implementation of an audio-visual concept, a roofed museum café was built in the external area. Following the redesign work, the museum now offers insights into traditions and life in Rwanda around the year 1900 and uses photos and other material to shed light on the impact of the colonial period on the population and the present day. The life and times of Richard Kandt, the Berlin Conference, the rush to the colonies on the part of adventurers, researchers and explorers, interactions between Rwandan and German actors and impacts on power and social structures are presented in modular exhibition units. In addition to the technical preservation of the colonial building, the emphasis is on examining and presenting this common colonial history, which inseparably links Germany and Rwanda, in a modern way. 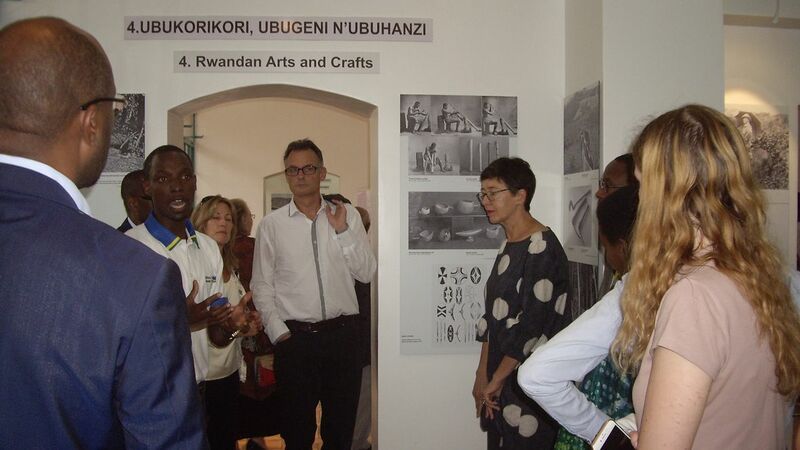 German and Rwandan historians, museologists, artists and film makers jointly developed the concept for transforming the Kandt House into a modern museum. The partnership with the Institute of National Museums in Rwanda (INMR) for redesigning the Kandt House is helping to strengthen the national identity of Rwandan civil society, which is still coming to grips with the genocide. The project partners are diverse and include the Institute of National Museums in Rwanda (INMR), the Ministry of Sports and Culture (Minispoc), the Partnerschaftsverein Rheinland-Pfalz/Ruanda e.V. (Jumelage), the German Embassy in Kigali, the Goethe-Institut, the Natural History Museum Mainz and the Kwetu Film Institute. The Federal Foreign Office has supported the restoration of the historic Merklin-Schütze organ in the Iglesia San Francisco de Asis in Havana as part of its Cultural Preservation Programme since October 2017. Built in 1858 for the Iglesia de Caridad in Havana, this almost fully preserved organ, which has been unplayable for decades, is one of the most valuable cultural assets of the historic part of the old town in Cuba’s capital, protected by UNESCO. The Iglesia de la Caridad del Cobre is one of the most important churches in Havana. The instrument is not only among the best organs in the country in terms of craftsmanship and artistry, but is also one of the oldest preserved organs in the entire Caribbean. Baltisches Orgel Centrum Stralsund e.V. (Baltic organ association, BOC) is completing the restoration of the organ built by the two renowned German masters Joseph Merklin and Friedrich Schütze in cooperation with the local restoration workshop Oficina del Historiador de la Ciudad de La Habana and veteran Swiss organ builder Ferdinand Stemmer. Cuban craftsmen are being trained to maintain the instrument in the future. 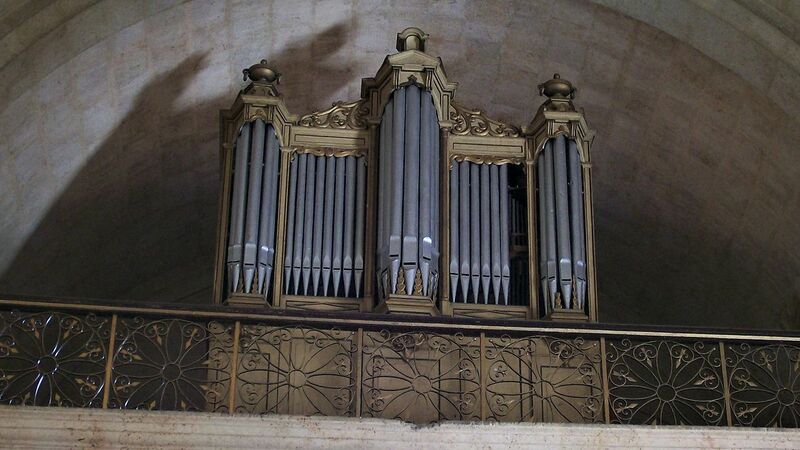 After undertaking scientific research on comparative instruments, stock-taking and purchasing necessary materials and tools, the complete organ mechanism was entirely dismantled and transported from the Iglesia de Caridad to the Iglesia San Francisco de Asis for restoration in November 2017, where the pipes were also repaired and cleaned. During the further course of the project, the casings will be restored and the ongoing work will continue to be documented. A playable, fully restored historic church organ in line with good conservation practice is the objective of this comprehensive restoration project. Musical events with soloists from Cuba and abroad can be held that will help to foster both international exchanges of musicians and the tourist industry. Moreover, the historic organ is urgently needed for training church musicians and for supporting church music in general. Thanks to a cooperation agreement between the Instituto de Estudios Eclesiásticos P. Félix Varela and the College of Catholic Church Music and Musical Education in Regensburg, young organists have had the opportunity to receive training in Havana since 2016. This is the first time that Catholic Church Music has been offered as a university subject in Cuba. Students will be able to use the organ during their studies after the restoration work has been completed. The Iglesia San Francisco de Asis, a restored church in the heart of Havana’s old town protected by UNESCO, is one of the most important tourist attractions and a major venue for classical concerts such as the annual Semana de Música Sacra. 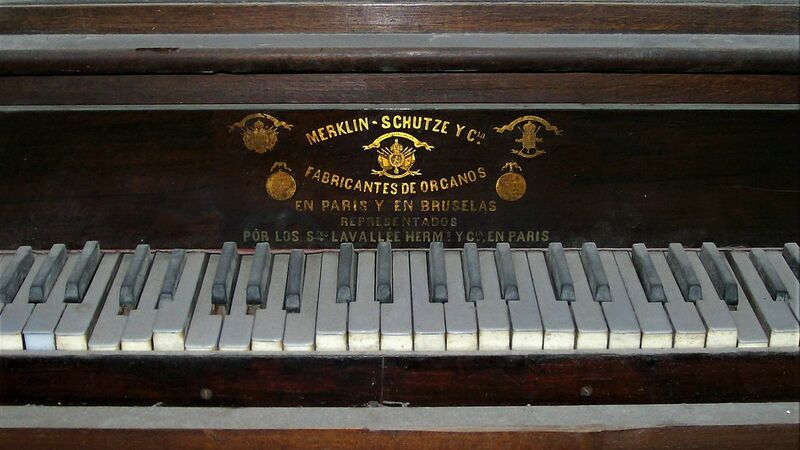 Thanks to the restoration of the Merklin-Schütze organ with funds from the Cultural Preservation Programme, an important testimony to Cuba’s cultural past is being preserved for future generations. The project partners are the German World Heritage Foundation and the Baltisches Orgel Centrum e.V., as well as the Archbishop’s Office of the Roman Catholic Church in Cuba. The project is being completed in connection with the church music training programme recently launched by the Catholic Church in Cuba. 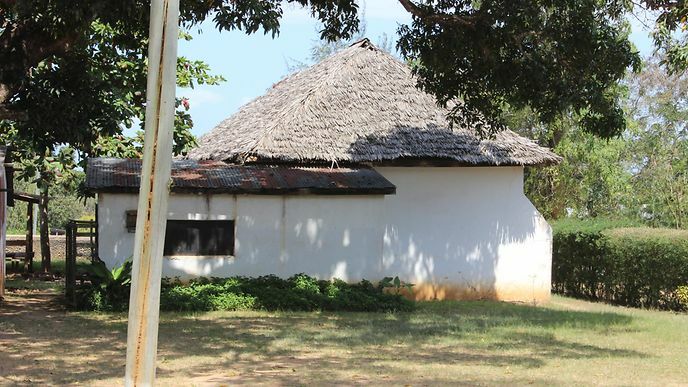 Since March 2017, the Federal Foreign Office has contributed funds from the Cultural Preservation Programme to support the restoration and expansion of the Rabai cultural centre near Mombasa on the Kenyan coast. It was here that the German missionary Ludwig Krapf, who travelled to Kenya in 1844, translated the Bible into Swahili. He lived on this site and built a church together with Johannes Rebmann, who was also a missionary. Once their residential buildings and the church no longer had any structures worth preserving, new buildings were erected on the foundation walls. In 1986 and 1987, the German Embassy in Nairobi supported the establishment of a small museum on the premises of the former church. The site in Rabai is closely bound up with the missionaries Krapf and Rebmann, who are well known in Kenya. The Rabai Church is considered to be the origin of Christianity in East and Central Africa. The Federal Foreign Office’s cultural preservation funds are being used to make the cultural, historical and religious significance of the Rabai site accessible to a wide public. As a national meeting centre, cultural site and memorial, it offers neighbouring communities the opportunity to become involved as well as scope for cooperation with universities. 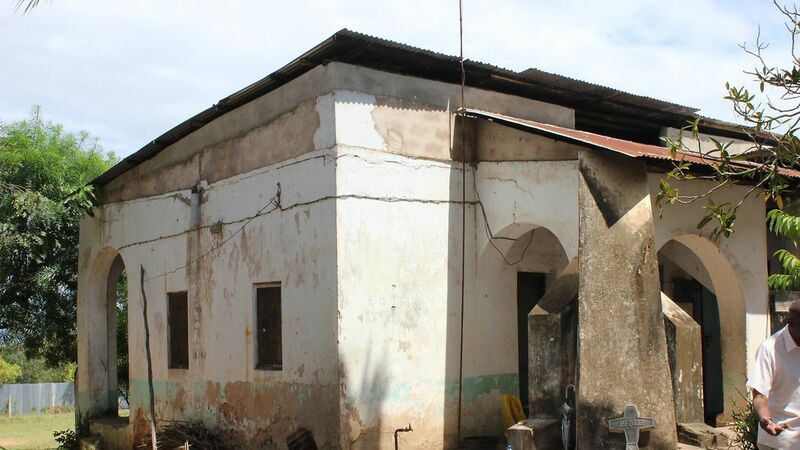 The restoration of the structure will enable the Rebmann house to be used as a meeting centre for the local population and the church community. In addition to this, the original church will be used for an exhibition designed by the National Museums of Kenya. The project focuses on the restoration of the two residential buildings and the original church. The resulting opportunities for tourists and school classes to visit the museum will help to improve their cultural and historical understanding. The construction of the memorial with a religious and cultural background on the Rabai premises is taking place within the context of efforts to come to terms with recent Kenyan history, strengthening national identity and promoting cultural dialogue based on partnership. The project is being implemented in cooperation with the National Museums of Kenya, the Anglican Church of Kenya in Rabai and the local government. Further information can be found here on the website of the National Museums of Kenya. Works of art and edifices testify to Viet Nam’s culture reaching back for centuries. They convey past lifestyles to today’s generations in an impressive way – to the Vietnamese population and to tourists from around the world alike. But works of art have a tough time in Viet Nam. The humid and warm climate, past military conflicts and maintenance work neglected and postponed over many decades have taken their toll on these unique buildings. The German Embassy in Hanoi has therefore been working intensively for many years in close cooperation with Vietnamese experts and organisations within the framework of the Cultural Preservation Programme of the Federal Foreign Office to restore buildings and cultural sites in the long term. 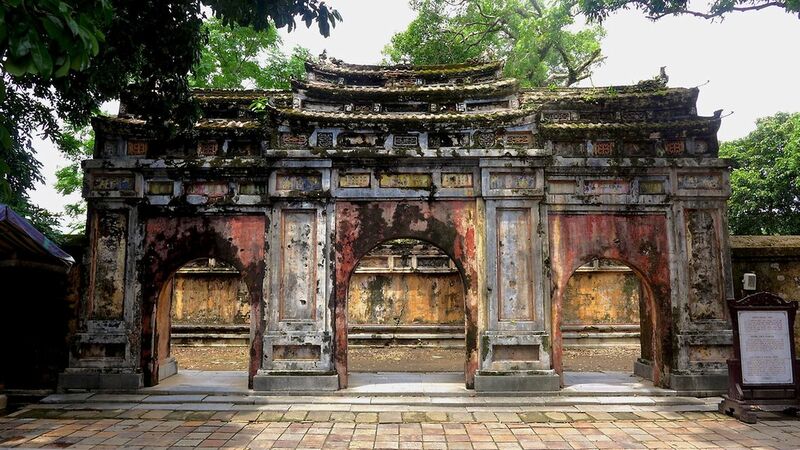 Extensive restoration work on the gateway and the spirit screen of the Tomb of Emperor Tu Duc in Hué and the community hall in Tran Dang are examples of Germany’s cultural policy in Viet Nam. Thanks to the cooperation between German restoration experts and Vietnamese cultural sponsors, important steps have been taken towards preserving this cultural heritage. Moreover, further measures have been launched in recent years that are supported by funds from the Cultural Preservation Programme of the Federal Foreign Office that have promising prospects for the future. The conservation and restoration of the portal, screen and basin of the Phung Tien Temple began in August 2017 with an accompanying training programme. The almost 200 year old construction is one of the most valuable examples of original preserved architecture from the early period of construction of the imperial city designed in accordance with Feng Shui rules. In contrast to the temple on the site, which was destroyed in 1947, it has withstood the test of time. 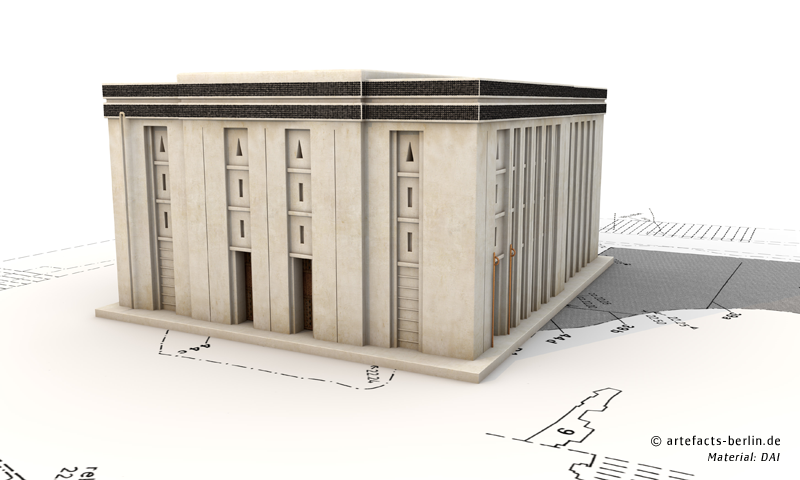 Traditional building materials and technologies as well as modern conservation materials and methods are being drawn on. 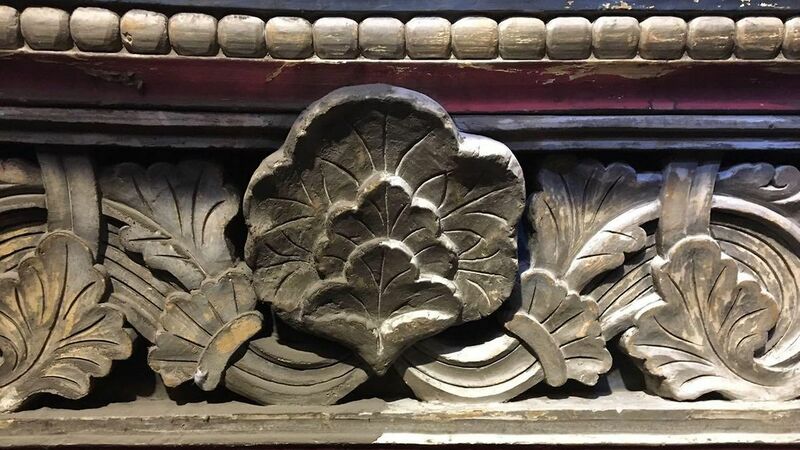 A special emphasis is placed on the development and application of an authentic restoration method for frescos and buildings featuring coloured plastering. The project with an accompanying training programme is being implemented with employees from local restoration companies and the Hué Monuments Conservation Centre, as well as freelance artisans. Photography is one of the most important documentation tools in archeology. Photos of objects help capture the condition of an object during the excavation as well as before and after restoration work. They are used for publishing or for digital reconstruction. Today, photos of objects can also be used as templates for 3D models. And photography can be used as an advertising medium or for research, without jeopardizing the original. But to present an archaeological object both scientifically usable and aesthetically pleasing requires some knowledge. The DAI Cairo regularly organises training courses for Egyptian colleagues to familiarize them with the latest methods and techniques. 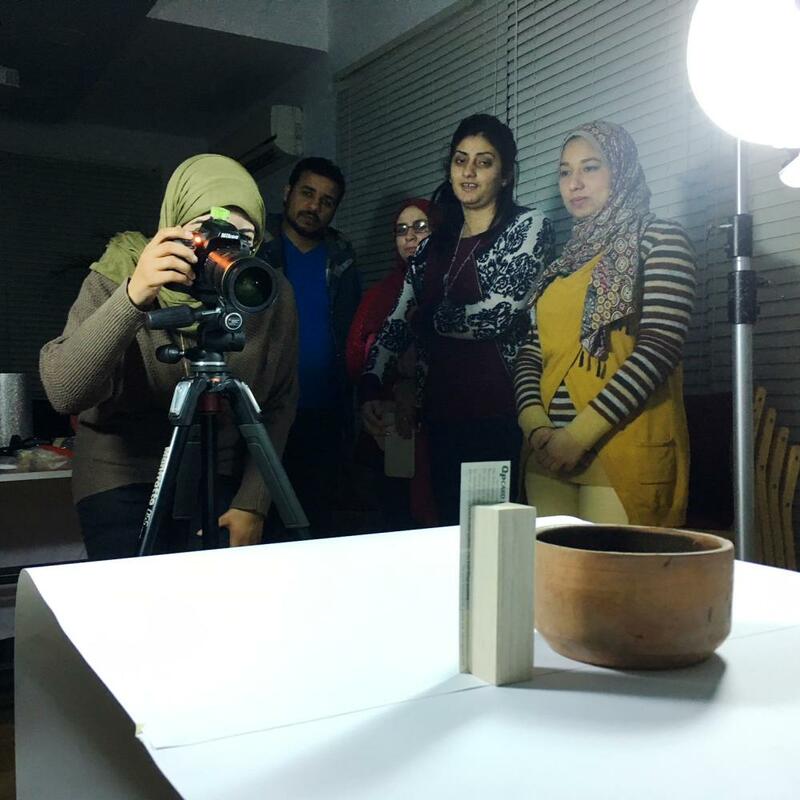 Between the 28th of January and the 8th of February 15 archaeologists of the Ministry of Antiquities had the opportunity to participate in a photo workshop, given by photographer Andreas Paasch. 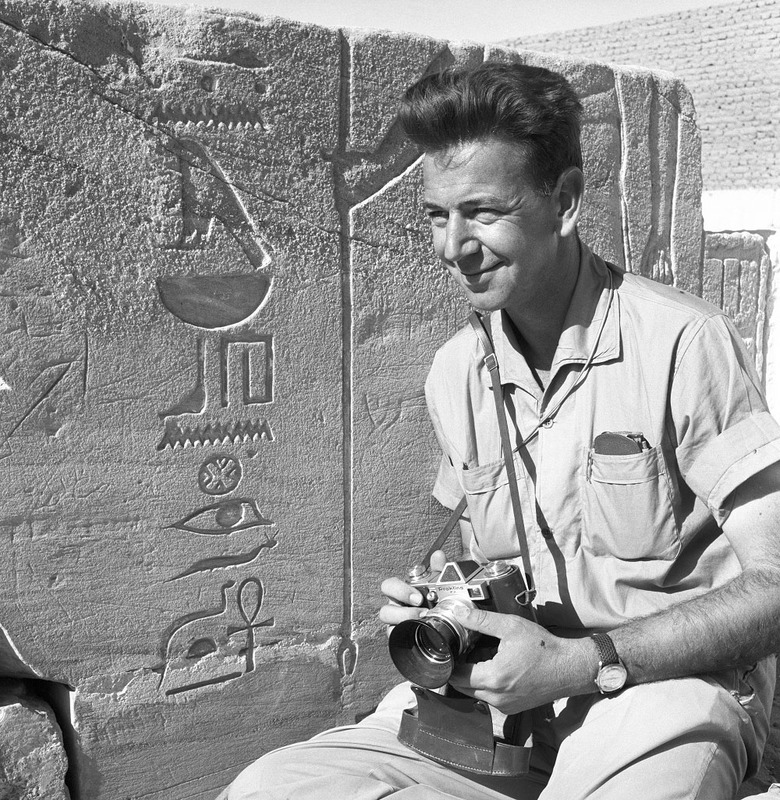 Paasch lived in Egypt for 10 years and took photographs on a variety of excavations and in museums, partly on behalf of the DAI. Due to his vast knowledge of the difficult working conditions on excavations the participants are well prepared for the task at hand. The work shop offers not only hands-on-experiences necessary for the job, but due to its profound introduction, valuable insight into object photography. We thank Mr. Paasch for his efforts and the Federal Foreign Office for providing special funds for this workshop. 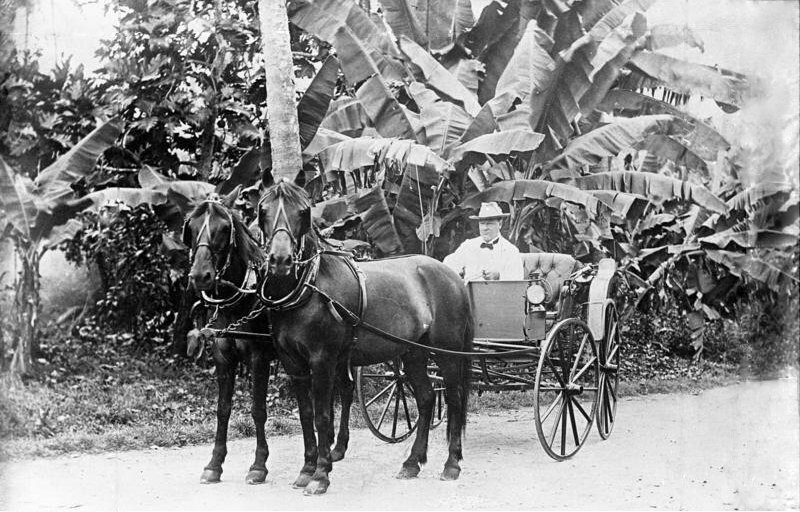 Germans arrived in Samoa in around 1840, when the Hamburg-based Godeffroy company relocated its main Pacific trading base from Valparaiso in Chile to the Samoan capital, Apia. German sailors and merchants settled here, married Samoan women and helped develop the island. A German school, postal agency and consulate were fixtures of everyday life in Apia long before Western Samoa officially became a German colony in 1900. Samoa was the last colony acquired by the German Reich, and this had a number of very positive effects for the country. Firstly, lessons had been learnt from past mistakes. Above all, however, the Governor, Dr Wilhelm Solf, pursued a cautious, circumspect, paternalistic line in coordination with local advisers. Samoan autonomy in the villages was retained, in some cases even extended. The Samoans were allowed to use the land outside Apia. Samoan, not German, was the first language in schools. Following the islands’ occupation by New Zealand at the beginning of the First World War, energetic appeals from the Samoan fautua (tribal chief) Tamasese to the New Zealand military administration prevented the planned summary expulsion of Germans. Tamasese succeeded in obtaining permission for German husbands to stay with their Samoan wives, with the result that more than one German-Samoan marriage was concluded at the last minute. Walking through the streets of Apia today, or leafing through the Samoan phone book, one is struck by the many German names: Keil, Kruse, Berking, Retzlaff, Stünzner and many more. None of these Samoan-Germans today speak German, but the word “German” still has a positive ring in Samoan ears. After the Second World War, even though their own country was hardly prosperous, many Samoans with German “relations” sent CARE packages to starving Germans in war-ravaged Europe. Nor was it coincidence that in 1989 Samoa was the first country in the world to issue a special stamp to mark the fall of the Berlin Wall, at the same time recollecting the historical links between the two countries since the 1889 Treaty of Berlin. 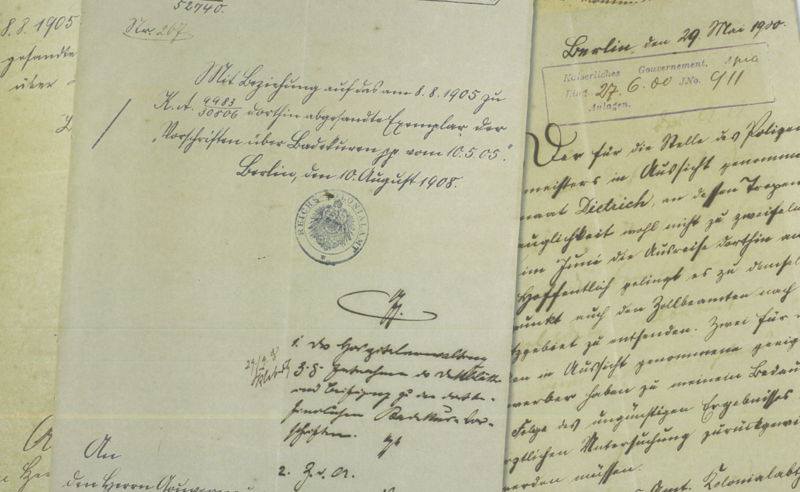 In order to underscore Samoa’s good relations with the Federal Republic of Germany and to keep up memories of our shared history, the Federal Foreign Office is funding the digitization of German colonial files in Samoa. The Federal Archives will then secure the archive material so that it can be consulted. The material thus preserved bears witness to personal stories and fates as well as to the political ties between the two countries in the colonial period. Namibia has a rich pop music heritage. The Federal Foreign Office supports a project to preserve historic audio recordings. 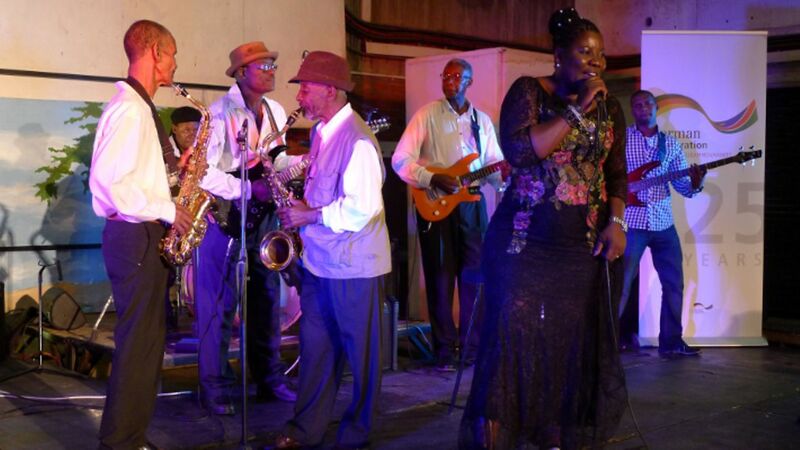 During decades of apartheid, not only did Namibian pop music receive no funding from government agencies, it was also controlled and in some cases even suppressed. Many audio recordings were often not kept for posterity at all or were saved only on private, fragile storage media, such as audio cassettes. This musical heritage was in danger of disappearing altogether. The founders of the Stolen Moments Namibia Music History Untold research group, Aino Moongo and Baby Doeseb, set themselves the task of preserving these musical testimonies of the apartheid era for future generations. The Federal Foreign Office provided around 50,000 euros for this project within the framework of its Cultural Preservation Programme. The technical equipment for digitising the recordings was provided within the context of the project. 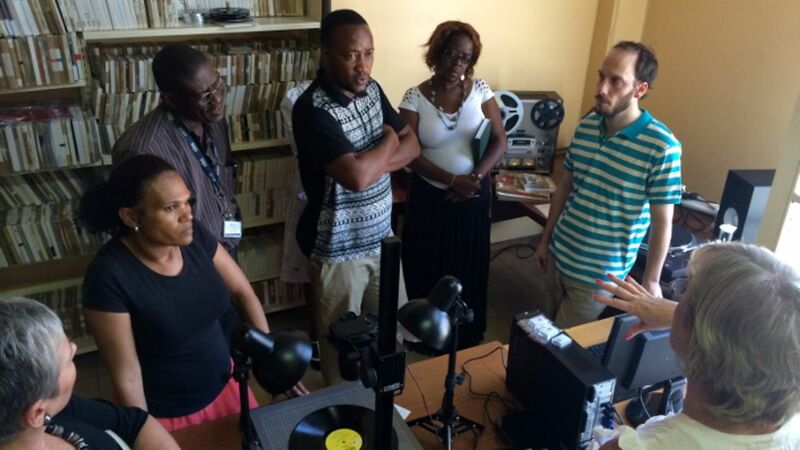 A German expert travelled to the country to train Namibian audio technicians, who then digitised numerous recordings and transferred the data to a music database. The digitisation of the music storage media has now been largely completed. An important part of Namibian music history has thus been made accessible both to researchers and to the general Namibian public. Not only academics but also the Namibian Broadcasting Corporation (NBC) and the National Archives of Namibia have access to the music via the database and are helping to revive knowledge about this musical genre, which was almost lost.